Immaculate Home with an Open Floorplan & a Spacious 3 Car Garage! Home boasts great curb appeal with an attractive drive up. Interior features include extensive hardwood floors & moldings, soaring ceilings & oil rubbed bronze hardware. Recently updated Kitchen is adorned with granite counters, stainless steel appliances, a gas cooktop & a farm sink. Spacious Family Room includes a wall of windows overlooking the Backyard. Downstairs Master Suite is graced with a gas fireplace & two walk-in closets. Private Study includes built-ins. The Game Room includes a privacy curtain, tray ceiling & surround sound wiring. Enjoy the large sized secondary Bedrooms. Great Backyard features an extended Patio & an 8ft cedar fence with XL gates. 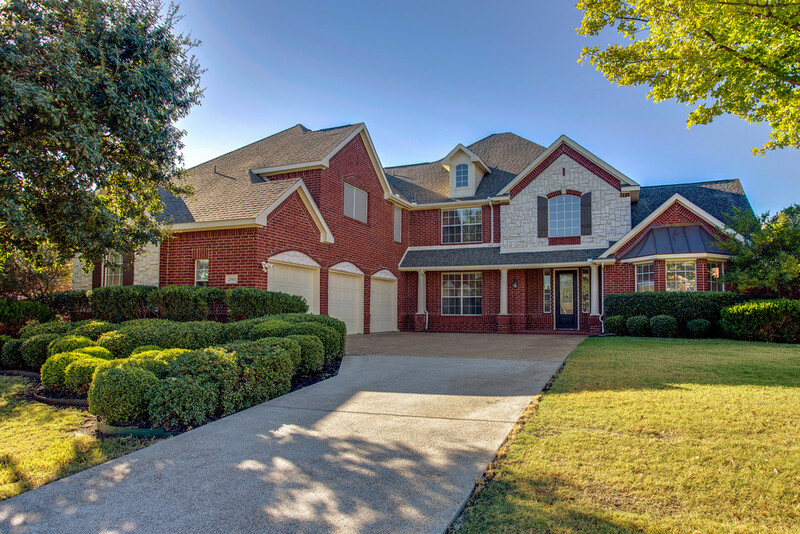 This home is zoned to the Lewisville Independent School District – Prairie Trail Elementary School, Lamar Middle School & Marcus High School. Just south of Justin Rd (407), it is only a short drive to both fast food (KFC, Sonic & More) or sit down restaurants (Empress of China, Fresco’s Mexicana, Bistecca & More). Plus, Flower Mound was voted the safest place in America to live by Movoto.com!